All aluminum die cast frame construction, blade tension adjuster and comfortable handle make this the perfect hacksaw for the shop. 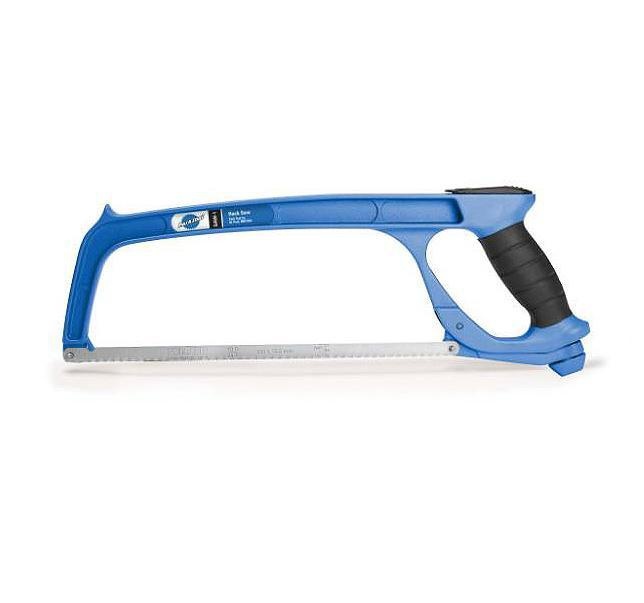 SAW-1 includes one blade and accepts any 12” (300mm) hacksaw blade. Parktool SAW-1 Bicycle Tube Cutter. All aluminum die cast frame construction, blade tension adjuster and comfortable handle make this the perfect hacksaw for the shop. SAW-1 includes one blade and accepts any 12” (300mm) hacksaw blade.